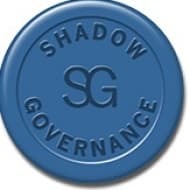 Shadow Governance Intel (www.shadowgovintel.com), the analytical arm of West Sands Advisory Limited, conducts in-depth research on power players and power plays that challenge the transparency of emerging markets. West Sands Advisory Limited (www.westsandsadvisory.com) is a UK-based business intelligence firm that leverages local source networks and in-country associates throughout the world to help our clients create opportunities, and reduce reputational risk. Can New Blood Shake Up Serbia’s Power Industry? Is Egypt’s Zohr Field A Game Changer? Who Controls Iran’s Energy Sector?